Develop a Positive Explanatory Style. Two people look at the glass. Each person explains differently what he/she sees. One says the glass is half empty. The other says the glass is half full. The glass half empty person tends towards always seeing the negative first and focuses on lack and scarcity. 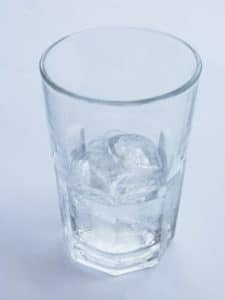 The glass half full person always sees the positive first and focuses on abundance. Which one are you? The glass half empty person attracts negativity and emptiness. 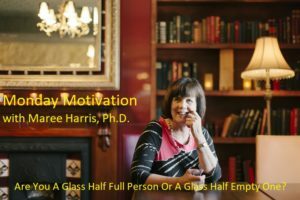 The glass half full attracts positivity and fullness. This explains why some people get all the opportunities and other people miss out. Two Stories of People who have developed a Positive Explanatory Style, are Glass Half Full People. Two people looking at the same situation and coming up with different conclusions and all because of their explanatory style. My Motivational Challenge for This Week. Observe yourself and how you explain what is happening in your life. When you find yourself in glass half empty mode or using a negative explanatory style, STOP. FOCUS and TURN YOUR THINKING AROUND. At the end of each day take time to reflect on how you went. Watch what happens when you do that consistently over a period of time.